In the opinion of this reviewer, Everyman's Dictionary is the best English to Bengali dictionary available now. This reviewer is a professional translator and is quite a veteran in facing situations during a translation activity when target-language equivalents are lacking or where the source language expressions denote concepts that are specific to the cultural sphere of the source language. In : The Theory and Practice of Dictionary-Making (Cambridge University Press; First ed. ; 2009) Bo Svensén remarks that “dictionaries are a cultural phenomenon” and hence every dictionary is the product of a unique culture in which it is produced. It is in this context that we have to judge the restrictions and problems that originate from the confrontation of two linguistic systems in a bilingual dictionary. Gouri Prasad Ghosh’s (Chief Editor) Everyman’s Dictionary [English-Bengali], tackles those problems admirably. 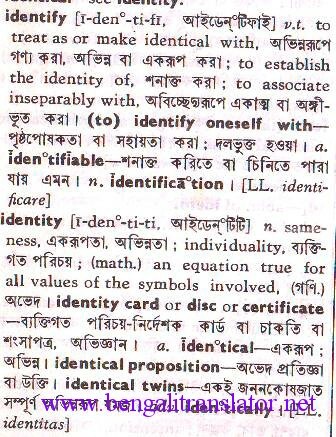 If we compare Everyman’s Dictionary with the English to Bengali dictionaries available in the market, we will find that it is more enriched in terms of ‘headwords’ as well as in their Bengali equivalents and in it the editors have tried to accommodate a larger corpus of the ever-increasing treasures of the English language. In this almost 2000-page dictionary, the English headwords have been culled primarily from but, according to the Chief Editor’s admission, words have also been incorporated from and . The dictionary distinctly identifies words and phrases that are considered foreign to the English language (e.g., ad infinitum). It also denotes separately words and spellings, pronunciations and meanings of words that are distinctly American. The pronunciation of each English headword is rendered using the International Phonetic Transcript following Daniel Jones’s English Pronouncing Dictionary. For the Bengali users, the English pronunciation has also been indicated with the help of Bengali script and symbols. With respect to loan words from a foreign language and where the pronunciation still retains elements of the original language’s sound schemes, special signs have been used to denote the foreign sounds. After each word its part of speech and number have been indicated. In many instances, references have been made to the original subject (e.g., Physics or Astronomy) indicating the background of the word. 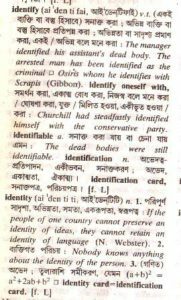 Meanings of the headwords have been rendered in modern Bengali. Much attention is paid to the different meanings and various nuances of the same word and the editors have not been shy to use additional words to explain those subtle, expressive variations in the meanings of the same word. Slangs, obscene and taboo words have been indicated separately. Wherever possible, equivalent Bengali idioms and phrases have been added along with an explanation of the literal meaning of an English idiom or phrase. Etymological sources of the headwords have also been indicated. Such excerpts, quotations and extracts have been selected giving due consideration to their appropriateness in illustrating the particular meaning or nuance of a word. All such citations are in italics, with an identification of their source within parentheses. 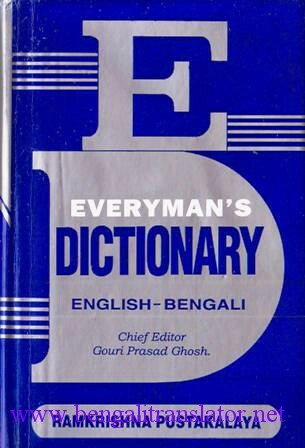 Everyman’s Dictionary [English-Bengali] has a larger corpus and embraces a more comprehensive lexicographic vision than any other printed English to Bengali dictionaries. It pays due attention to culture-specific expressions in both the source and the target languages and includes detailed information and explanation of meanings and nuances of a word. At the same time it is not replete with information that may prove redundant for the individual user in a specified look-up situation. It includes some terminologies of a technical nature with respect to such areas as science and technology, medicine, administration, linguistics etc. but it ignores many others, rightfully assuming that such terminologies do not belong to the domain of a general, all-purpose dictionary for daily use. 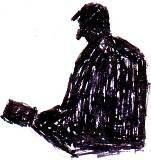 In the opinion of this reviewer, Everyman’s Dictionary is the best available now. This reviewer is a professional translator and is quite a veteran in facing situations during a translation activity when target-language equivalents are lacking or where the source language expressions denote concepts that are specific to the cultural sphere of the source language. In such situations this dictionary came closest in helping him arrive at a solution or an intelligent compromise by supplying appropriate equivalents that help in closing the referential or lexical gaps. However, there is always scope for improvement and it is hoped that words such as ‘outreach’, ‘vesicant’, ‘profile (v)’ having the meaning of “describe in a short article”, ‘open-ended’, ‘casebook’, ‘careerism’, ‘corporeity’, ‘gazebo’ to name just a few, would be included in its next edition. It is quite understandable though, that probably due to constraints of space, such a dictionary would have to leave out quite a sizable number of words when the source language is as rich in its vocabulary as English. 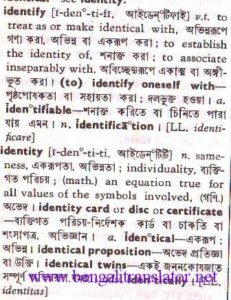 It is said that a dictionary becomes obsolete the day it is published and Bengali publishers are notorious for publishing dated lexicographic tomes without making any genuine effort to bring out their revised and modern editions. I hope Everyman’s Dictionary will not have the same fate. If you want to buy this dictionary you may contact the publisher (details below) or buy it online from AbeBooks.com.